For the time being, we can’t have rice. It’s not Whole 30 approved as it’s a grain. Which is super hard, because when Andy and I are not on the Whole 30 plan, we eat rice like it’s going out of style. So it led us to trying to find a replacement and led Andy to this recipe for cauliflower “rice,” which I was hesitant about, but once we tried it, was so excited. I can’t wait for us to try it with a stir-fry or chicken and broccoli. 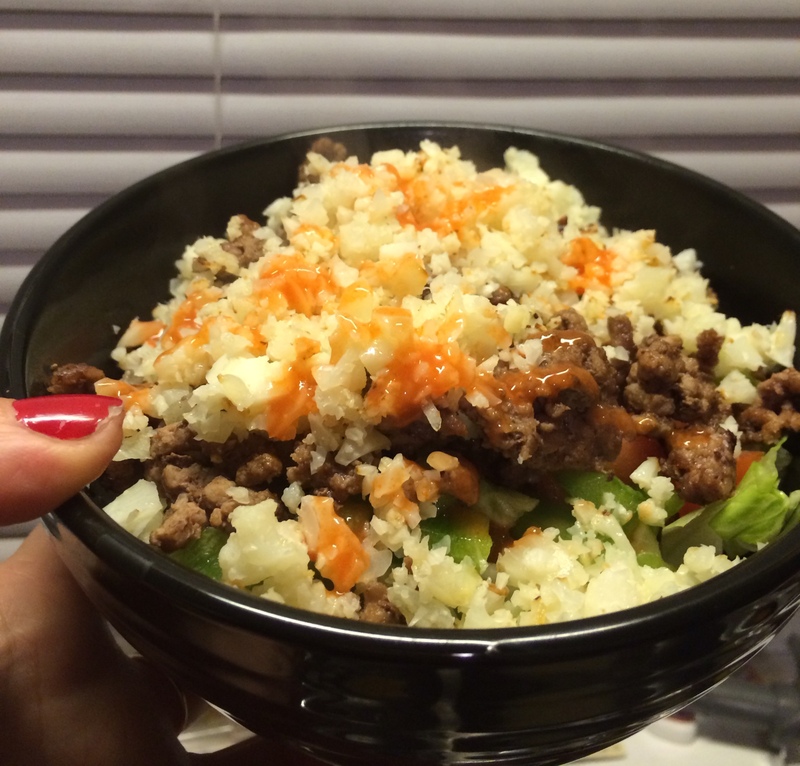 We ended up topping our taco salad with the cauliflower rice (and some hot sauce). Remove the leaves and core of the cauliflower. Break it down, then place in a food processor. Pulse until cauliflower is in small pieces, rice-sized. In a medium-sized skillet on medium heat olive oil. Once warmed, add garlic and onions, Saute for five minutes, or until garlic and onions are just starting to brown. Add cauliflower and cook on medium-high heat until cauliflower is slightly crispy. About 6-9 minutes.